How to Install Adobe Flash Player on Samsung Galaxy S4? 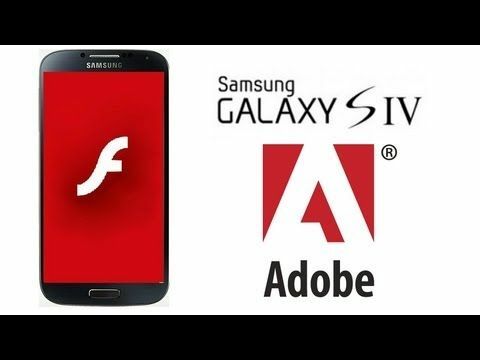 Home » How to install Adobe Flash Player on Samsung Galaxy S4? For people who'd like to enjoy online videos on Samsung Galaxy S4 for the very first time, below article offers detailed instruction about how to install Adobe Flash Player on Samsung Galaxy S4 for video watching. "I recently bought a Samsung Galaxy S4 for my daughter as birthday present. Everything was great until she watched cartoons from YouTube, and the screen indicated that we cannot continue without installing flash player. I looked at the list of Adobe Flash Player certified devices, there is no Samsung Galaxy S4 and I cannot find Adobe Flash Player from Google Play Store either. Does that mean I cannot watch online videos on Galaxy S4?" Adobe announced last June that they would be discontinuing their development of the Flash Player for mobile browsers for security concerns, which means Adobe Flash Player is no longer available in Google Play Store and you would get nothing but a "Flash Player is not installed" warning when attempting to watch online videos or Amazon Instant Videos. While Android users including Samsung Galaxy S4 users expect to watch flash videos through mobile browsers. How to make this happen? Below article will help enable you to watch Flash videos and even allow you to play a few touch optimized Flash-based games on your Samsung Galaxy S4. 1. Enable "Unknown Sources" to allow installation. First of all, make sure your Samsung Galaxy S4 is connected to the Internet. And go to Android device Menu -> Settings -> Security and check Unknown sources. 2. Download Adobe Flash Player. Search "Flash Player for Android archives" using your mobile browser, go to Adobe website, select latest version "Flash Player 11.1 for Android 4.0 (11.1.115.54)" and download it. When download completes, drag down the Notification tag. Tap the downloaded file and install Adobe Flash Player. 3. Start using Adobe Flash Player on Samsung Galaxy S4. While, not all third-party mobile browsers work well with Flash Player on Samsung Galaxy S4, such as Chrome and Stock Browser, but other browsers, including Flashify and Boat Browser are highly recommended to watch online flash videos and Amazon Instant Videos on your Samsung Galaxy S4. Of course, there are many other browsers that support Flash. If you are not sure whether yours supports Flash or not, go to Adobe Flash support page http://helpx.adobe.com/flash-player/kb/find-version-flash-player.htmland test by yourself. Samsung Galaxy S4 vs Galaxy S3: what's changed? 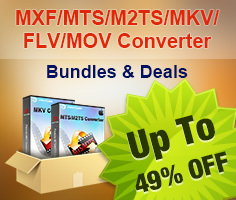 How to convert MKV to MP4, MOV, and FLV on Mac?